“Home-school Freak:” A Portrait of American Christian Homeschooling? What is the world of conservative Christian homeschooling like? A recent memoir in Salon painted a picture of cultic isolation and criminal parental negligence. Author Leslie Patrick described a youth spent watching TV with her sister while her overworked mother slept. They were told to stay away from windows so that the happy public-school children across the street wouldn’t witness their truancy. They had some schoolbooks, but without parental guidance, Patrick and her sister spent their days curled up in front of the television instead. I realize that many of the nearly 2 million home-school students in the United States don’t have experiences like mine. They get sparkling educations, and come through the relative isolation with their social skills intact. If this is the case, why do we find articles about religious-educational freakishness so compelling? I wonder if a number of us liberals harbor deluded stereotypes about the world of Christian education. The “secret” world of such intensely religious schools becomes an object of morbid fascination, a theological, cultural, and personal trainwreck from which we self-satisfied liberals cannot turn away. This is why, perhaps, occasional glimpses like that of the recent “Bible dinosaur” quiz become such objects of fascination. This is why, perhaps, the editors at Salon agreed to publish Patrick’s idiosyncratic expose. My hunch is that the everyday world of the average Christian homeschooler is far too boringly mundane to ever rival the headline-grabbing allure of the “home-school freak.” Nevertheless, in spite of Patrick’s belated acknowledgement of the real experience of “many” Christian homeschoolers, readers of her sad memoir are likely to come away with a skewed and misleading vision of conservative education. Saintliest City in the USA? Perhaps one can do a study of how many pro-conservative Christian articles Salon has published compared to say, pro-homosex articles. Well, one article does not a trend make. If I were to be conspiratorial, I would say that this article would be for the expressed purpose of claiming objectivity. Also, contra the title of the article, it only criticizes two small atheist groups for specific actions and the overall tone of the article is pro-atheist anyway. Actually, after having interviewed the current president and a number of parents from our local Christian homeschool association, I was impressed with the efforts that were being made to develop a rigorous curriculum and to address the social development of the children. The parents I spoke to took their responsibility as educators quite seriously, and many were professionals who were willing to make the commitment for one of the parents to stay at home in the role of full time teacher. It would be unfair to judge the value of an entire social group by its failures – although I worry about the current “separate but equal” status of the current homeschooling system. Perhaps, instead, it would be more productive – for both homeschooling and for public schooling – to provide some kind of a forum at which both could regularly communicate and share successes, problems, and insights. Then, instead of fearing and distrusting each other, the two groups might learn from each other. Gail, I think my experience has been similar to yours. That’s why Patrick’s article stuck in my craw. Before I started spending mental time in the world of conservative Christian education, I confess I was all too ready to believe any cockamamie accusations out there about its cultic character. Luckily, it seems a lot of public-school educators are more informed than the old me. People do seem willing in many cases to work together to improve education for all kids, public schooled, private schooled, or homeschooled. I agree that many homeschoolers receive excellent educations, and many are well-socialized despite the great effort that must be expended to do so. However, the darker side of homeschooling is FAR from a one-in-a-million situation. Check out the blog http://homeschoolersanonymous.wordpress.com/ for more info on that. Homeschooling has been so deregulated in many places that it can and will be used to control, abuse, indoctrinate, and neglect children. Even those kids that perform exceptionally well in academics (I was one of them) may be desperately crippled in their understanding of other people and the world outside of Christian Fundamentalism. For myself, I was given a top-notch education (apart from learning only creation science) and was able to earn awards and college scholarships for my academic achievements. I now hold a Masters Degree in Astrophysics, so clearly my education was not a flop. However, I had never, ever been exposed to people or ideas that were not almost carbon-copies of my parents. My internet use was restricted, I had no TV access, movies were censored, and I never interacted with any peers who were atheists, persons of non-Christian faith, or homosexuals until I went to college. Never. Needless to say, I lived in a complete bubble, and trying to adjust to the real world and figure out how to overcome all of that brainwashing took YEARS. At 25 years old, I’m still sorting the wreckage… especially after I came out as a lesbian 2.5 years ago and my crumbling world of guilt, fear, and closed-mindedness finally exploded. And my story is FAR from unusual. I should point out that I grew up in the fundie-conservative subset of homeschooling, and much of the movement is considerably more sane. But, of my peers, I know another young man who was kicked out of his house and left homeless when he came out as gay. I know two girls from different families who have never left home, after 26 years, and are still waiting for a husband to find them so they can leave the protection of their father and have real lives. And I know several young men and women who have been successfully made into carbon copies of their parents’ ideals, spewing hateful and offensive religious jargon for the “glory of the Kingdom”. That is what the movement I was raised in was all about: making Christ-warriors to over-turn the culture of today. I’m glad I got out. Not everyone did. So yes, I am glad that you are taking articles like this with a grain of salt. However, I want to urge everyone not to dismiss the problems raised too quickly. People like me NEED to have the secular world and the religious world to take a good, hard look at the homeschooling movement… both the good and the bad. 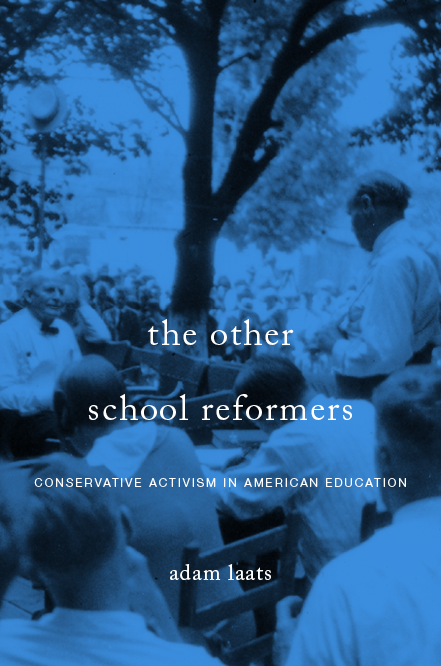 Does Patrick present a skewed view of conservative schooling? Maybe. But my experience and the experience of many others states that it is not skewed enough. GE, Point taken. My beef with the Patrick article is that it seemed to be aimed directly at the self-satisfied yet utterly ignorant assumptions of secular liberals like me. I can only imagine the difficulties of what you’ve gone through, and I’m delighted you’ve had such successes in your life. Some of the ex-“fundamentalist” students I’ve heard from have argued that their conservative educations actually trained them in habits of critical thinking, since they were relentlessly drilled to be suspicious of the truth-claims of mainstream culture. As you emerged from your education and background, have you ever felt that part of your critical habits of mind came from your childhood training? Indeed I have! I was rigorously trained in speech and good argument, although probably less so than some of my peers who attended debate conferences and competitions. I was also taught never to take any information at face value and to always question authority. It seems hilarious to me now that my parents and leaders apparently never fathomed how this sort of training might backfire on them. My parents even broke with the Pentecostal church when I was a young teen because they felt it was too legalistic. However, they still tried to instill in me a mortal fear of rebellion against either them or their beliefs. At the age of 23, as I was coming out to them, I was still enough under their influence that I almost bought it when they told me that it was my God-mandated duty to obey them without question. However, they had taught me too well to stand up for my beliefs and question authority. When I pointed this out to them, they had no defense, although they tried to back-pedal. It helped me stay strong in the face of their emotional abuse and my eventual banishment from their home. I am grateful for the training I was given, but I feel it is tragic that it had to come to use in this way. I agree that self-satisfied and ignorant assumptions about conservative upbringings can be very harmful. For instance, I think many liberals who have never experienced the religious homeschooling community think that a) homeschoolers are not getting real educations, and b) that homeschoolers are never allowed to socialize. The realities are much, much more nuanced. There are certainly situations where this is true, but they are the vast minority. Most homeschoolers in my community were very academically driven and encouraged to outperform their public schooled peers (often for the sake of making homeschooling look good, which is not the best motivation). Most of the homeschoolers in my community were also heavily involved in social activities, like co-ops, debate groups, speech classes, PE groups, church groups, etc. I am sure that there were exceptions that fell under my radar, but I do believe they were mostly exceptions. When liberal opponents of religious homeschooling harp on these two misguided points, they are not addressing the real problems, they are actually empowering homeschooling parents by offering arguments that can easily be shot down, and they make the homeschooling community grow increasingly militant and defensive. This defensive attitude has made the leadership of these communities increasingly become deaf and even hostile to hearing the problems and harmful experiences that those of us who graduated are trying to bring forward. For instance, although most of the homeschoolers I knew received excellent educations, they were often strongly discouraged from going to colleges, pursuing certain careers, or leaving the home once they were adults. Thus, this education primarily just served to boost the test score statistics of homeschoolers. Women in particular were often discouraged from leaving their father’s protection until they were married, and were trained to be mothers and wives long before they ever showed an independent interest in this. Gendered activities were also strongly encouraged (my horseback riding club was converted to a sewing club after the two boys left it.) As for socialization… the problem is often not just a lack of socializing, but a lack of DIVERSE socializing. I pointed out earlier how clueless I was about anyone with differing views from my own. I know for a fact I was not alone in this experience. So, I am very glad that you are speaking out against well-meaning liberals that would like to stand on a soap-box and sermonize about the ills of homeschooling based on misconceptions. Entering this argument with a poor understanding of the actual issues at stake is actually harmful to the victims of homeschool abuse. Even the experiences that I have observed in my own life, among my peers, and on sites like Homeschoolers Anonymous only show part of a very diverse picture of differing situations, beliefs, and approaches to homeschooling. There is no one-size-fits-all response to problems in the homeschooling community, just as there is no one-size-fits-all solution to issues in public schools. I do think that the problems in conservative homeschooling need to be addressed, but anyone who wishes to advocate for the issue, should speak to some actual survivors first. I want more well-meaning liberals on our side, but I want them to stand behind the words of actual victims of these problems, rather than behind their misconceptions about our plight. I want them to recognize the variety and complexity of this community and stand in support of us as we forge the changes that need to be made. I hope that you and I and people like us can continue to help this happen.